The outgoing Central Information Commissioner Prof.M. 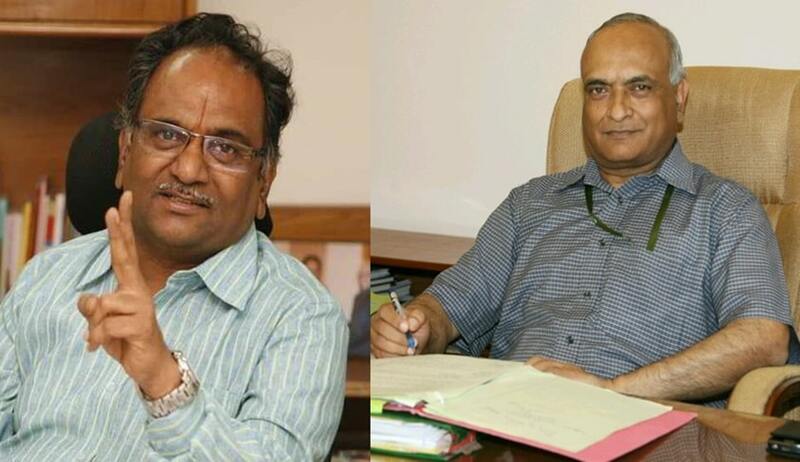 Sridhar Acharyulu has written to the Chief Information Commissioner R K Mathur making a fervent plea that CIC should take steps to make the Reserve Bank of India comply with the orders of CIC to disclose information of willful loan defaulters. The letter comes in the wake of November 16 direction by him to RBI and PMO to disclose information on list of willful defaulters and action taken on the ‘alerting letter’ written by former Governor of RBI Raghuram Rajan on February 5, 2015. Acharyulu reminded the Chief Commissioner that RBI is continuing its defiance of 11 earlier orders issued by CIC. It is understood that Mathur visited Acharyulu in his chambers on November 18, after the order to RBI was issued on November 16, and raised certain concerns. It appears that Mathur observed that Acharyulu had acted in breach of protocol while issuing the orders. Acharyulu has responded to the observations through a written explanation addressed to Mathur on November 19. Regarding the observation of the Chief Commissioner that Acharyulu breached protocol by deciding the issue when similar issue was pending before another Commissioner, he responded "I did not choose this appeal; it came to be in routine"
The concern expressed by Mathur that the order caused embarrassment to another Information Commissioner handling the subject was termed as without basis. "The two IC-bench did not decide the matter at all. It was simply adjourned indefinitely. There was neither ruling or direction"
"Information Commissioner's primary duty is to uphold and implement the RTI Act, which was being violated by important public authorities like RBI. Depending on the context, the IC issues directions to other authorities also, irrespective of the fact that it was dealt with other IC. It is a legally valid practise in general. Entire Commission should feel embarrassed when its order is not being complied with like this", he said. Acharyulu also explained that he was acting in accordance with the binding precedent of SC in RBI v Jayantilal N Mistry,, which held that RBI cannot take resort to exemptions under BRA, RBI Act to deny information under RTI Act. The SC clarified in the case that RTI Act has overriding powers. The SC held that Section 8(2) of the RTI Act permitted disclosure of even protected information under the Official Secrets Act, if public interest demands it and that Section 22 of the RTI Act gave it overriding effect on other legislations. He also stated he committed no breach of protocol by speaking to media about the order. "Speaking to media to explain a legal position about disclosure of wilful defaulters is perfectly legal, proper and required. It is not a breach of any unwritten code. Explaining its legality is a part of being transparent. Calling it a questionable conduct is unfair. Speaking to media to clear the doubts is an ethical exercise in pursuance of transparency. We have a duty to inform people". It was highlighted that 11 earlier orders issued by the previous CIC Shailesh Gandhi directing RBI to disclose defaulters information, which were upheld by the SC, have not been complied by the apex bank. "Please initiate steps to implement the orders of the Former CIC Mr. Shailesh Gandhi, as confirmed by the Supreme Court in Jayanti Lal N Mistry Case, so that the faith of our people in the RTI Act and this institution stands fulfilled"
"Can unwritten protocols override written text of law and Supreme Court's judgment? ", he asked. He urged that the CIC should pursue contempt action to ensure that its orders are complied. He affirmed that his actions were guided by the Constitution as well as his conscience. The November 16 order also lambasted the RBI for its "anti-RTI" policy and wondered whether the Central Public Information Officer of the apex bank "knows the law". The order was issued following a show-cause notice issued to RBI Governor Urjit Patel, considering him as ‘deemed PIO’ responsible for non-disclosure and defiance of SC orders and CIC orders. Apart from that, the Commission also the officer of higher designation in the PMO to inform the applicant and Commission the names and action taken on the defaulters for recovery of loans in response to the letter from Sri Raghuram Rajan and the policy, if any, about recovery from defaulters including high profile ones. He is retiring today, after a service of five years.